The image of the pirate is at once spectral and ubiquitous. It haunts the imagination of international legal scholars, diplomats and statesmen involved in the war on terror. It returns in the headlines of international newspapers as an untimely ‘security threat’. It materializes on the most provincial cinematic screen and the most acclaimed works of fiction. It casts its shadow over the liquid spatiality of the Net, where cyber-activists, file-sharers and a large part of the global youth are condemned as pirates, often embracing that definition with pride rather than resentment. Today, the pirate remains a powerful political icon, embodying at once the persistent nightmare of an anomic wilderness at the fringe of civilization, and the fantasy of a possible anarchic freedom beyond the rigid norms of the state and of the market. And yet, what are the origins of this persistent ‘pirate myth’ in the Western political imagination? Can we trace the historical trajectory that has charged this ambiguous figure with the emotional, political and imaginary tensions that continue to characterize it? What can we learn from the history of piracy and the ways in which it intertwines with the history of imperialism and international trade? Drawing on international law, political theory, and popular literature, The Pirate Myth offers an authoritative genealogy of this immortal political and cultural icon, showing that the history of piracy – the different ways in which pirates have been used, outlawed and suppressed by the major global powers, but also fantasized, imagined and romanticised by popular culture – can shed unexpected light on the different forms of violence that remain at the basis of our contemporary global order. Why not download our FreeBook Law and Society: A Routledge Sampler? 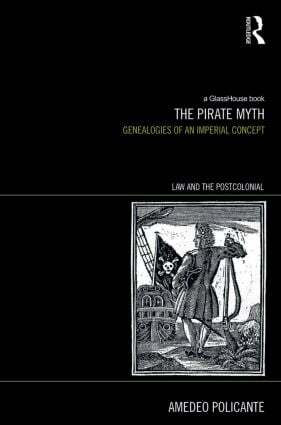 This resource contains a chapter from The Pirate Myth, along with a selection of excerpts from our other titles in the field of sociolegal studies.